Markets, Pricing, and Deregulation of Utilities examines the effects of deregulation on the energy and telecommunications industries in an economic environment that has changed dramatically since deregulation was first introduced in those industries several years ago. The contributors to this book discuss the aspects of deregulation that appear to be succeeding and those that seem to be failing. Within that framework, they offer insight as to the possible next stages of regulatory restructuring and reform. 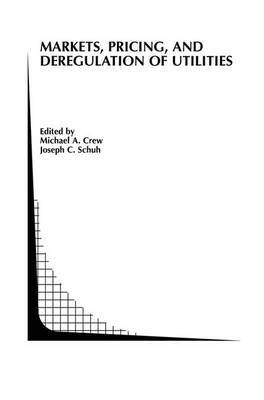 The contents of this book provide a strong theoretical base leading to a better understanding of markets, pricing, and deregulation by utility managers, regulators, and economists.